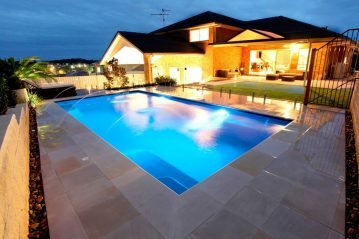 A family pool from Compass Pools gives you the chance to enjoy real quality time with your family. 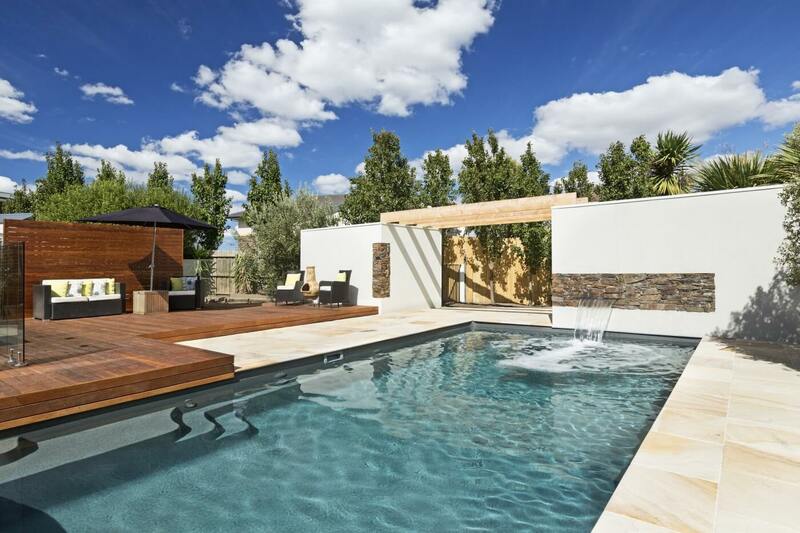 Whether it’s playing games in the water, improving your fitness or teaching the kids to swim, your own pool means that you can do all these things in the comfort, safety and privacy of your own backyard. 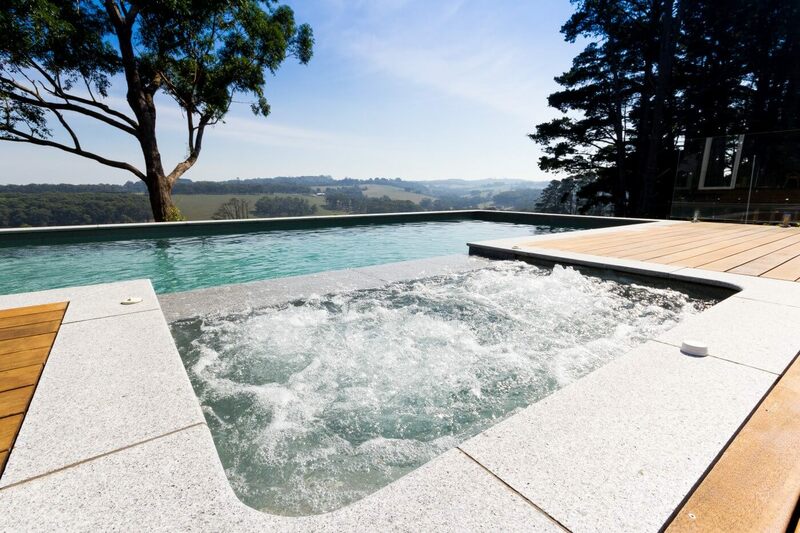 Our collection of family pools are all available in different lengths and depths, enabling you to find the pool you need to suit the size and shape of your property. Whether you’re serious swimmers or just enjoy fun in the water, your family members of all ages will benefit from the health and well-being boosts that swimming can bring. 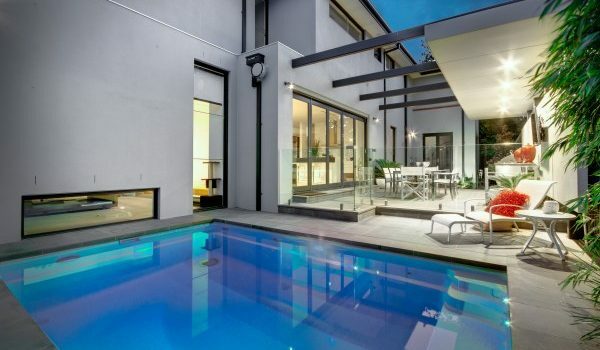 If you take your swimming seriously and want to meet your goals, a lap pool is the way to go. It offers a long, unimpeded swimming area, and is ideal for improving your lap times and working on your technique. 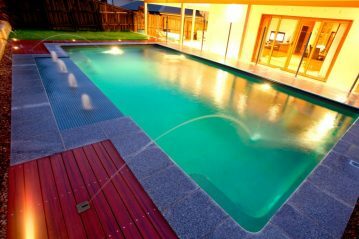 It’s also great for boosting your fitness and making swimming part of your everyday routine. 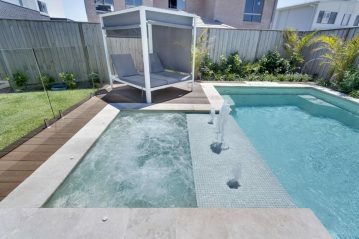 The shape of our lap pools means they’re ideal for narrower backyards, and they also create a great swimming experience for a single person. Having your own plunge pool gives you the opportunity to take a refreshing dip whenever you feel like it. These small pools offer all the benefits of enjoying life in the water, without taking up much space. 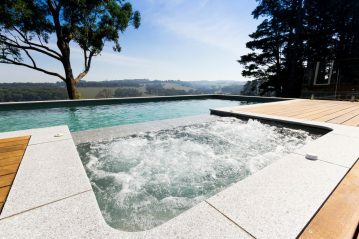 They’re ideal for relaxation or for experiencing the health and wellbeing benefits that being in the water can bring. 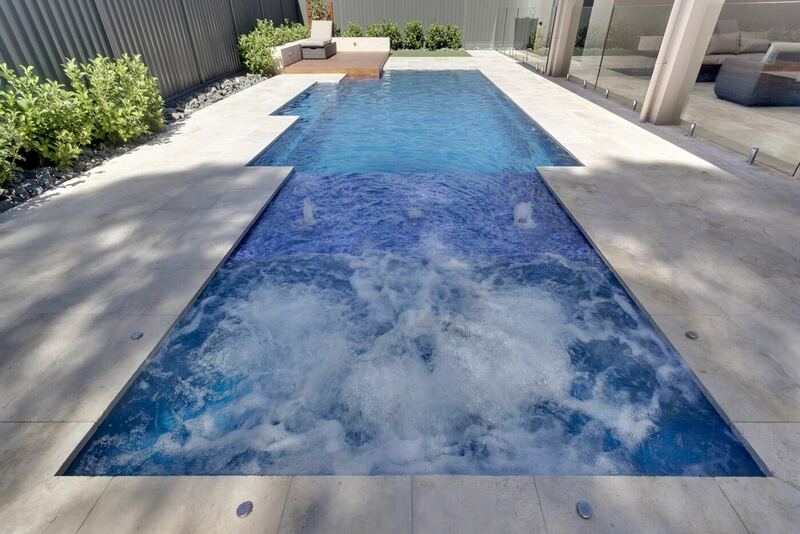 As plunge pools are designed to be compact, they’re the perfect choice for backyards where space is at a premium. 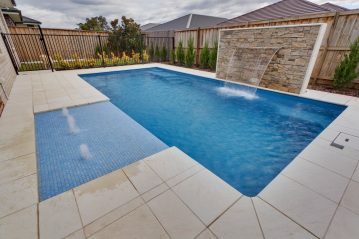 Compass Pools offers an extensive range of different pool sizes and shapes to suit all homes and purposes. 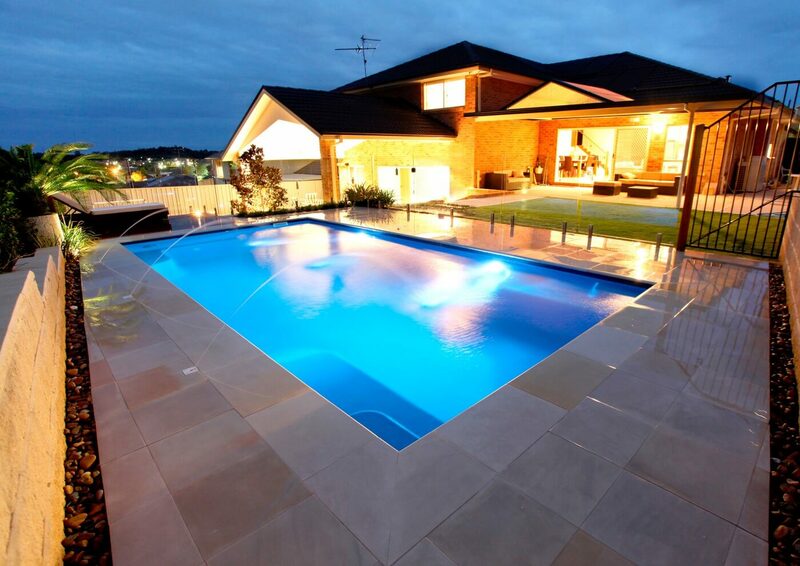 But we believe your pool needs to reflect your own tastes and suit your needs. 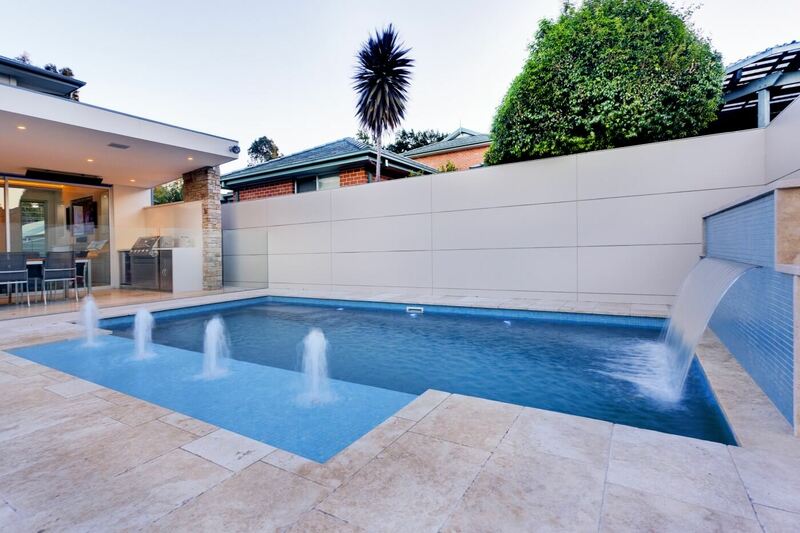 This is why we offer a wide variety of pool customisation options, enabling you to create the perfect pool for your home and the people who will be using your pool. 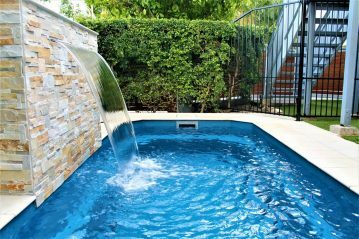 If your backyard isn’t the right shape or size for a pool, or it has a sloping surface, we can solve the problem for you by creating your swimming pool above ground, thanks to our exclusive Maxi Rib technology. If you want to experience the benefits of hydrotherapy as well as swimming, you can choose a pool and spa combo, which offers you the best of both worlds – a perfect pool for swimming, with a separate spa area, including hydrotherapy jets. 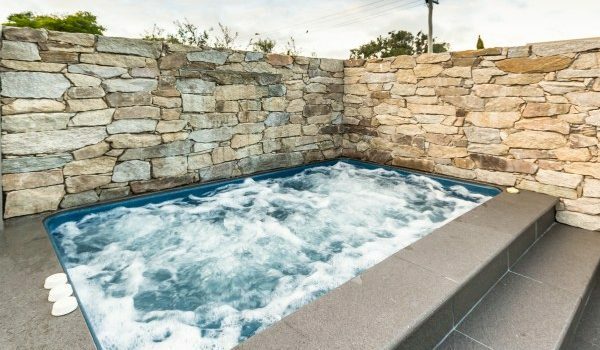 This is ideal for relaxation or for helping with muscular injuries. Now every member of the family can enjoy the pool at the same time while catering for their own needs! 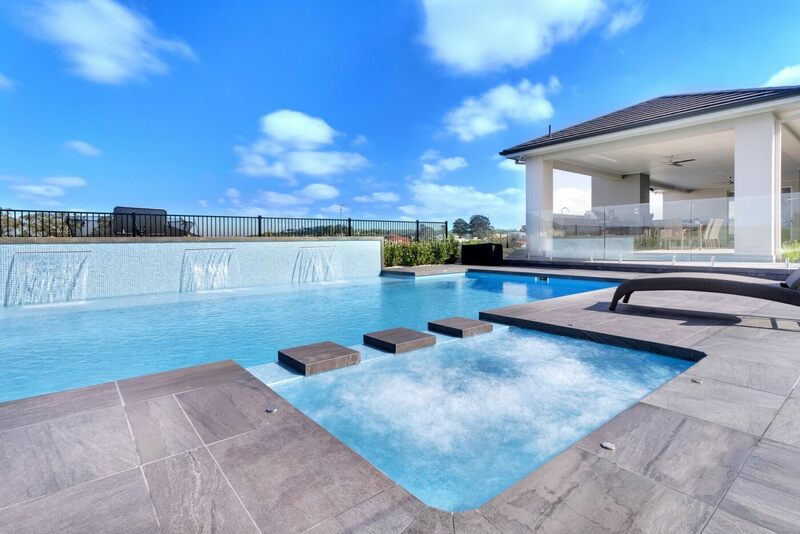 Another customisation option is to create an infinity pool. 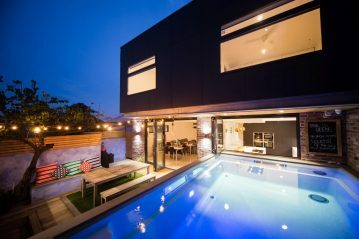 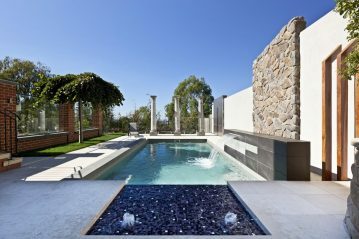 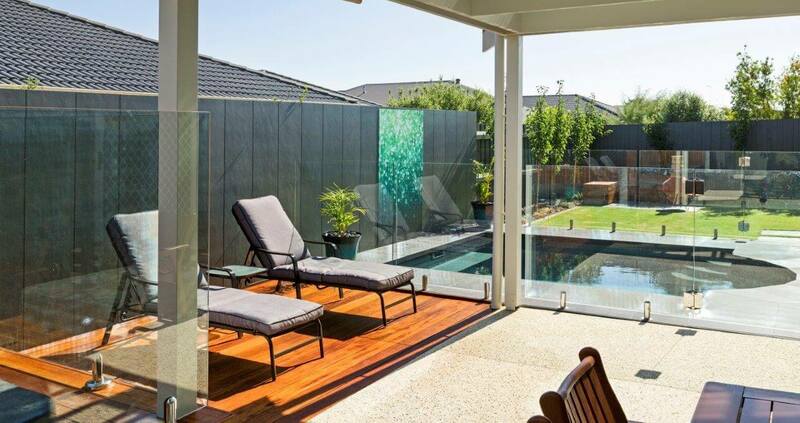 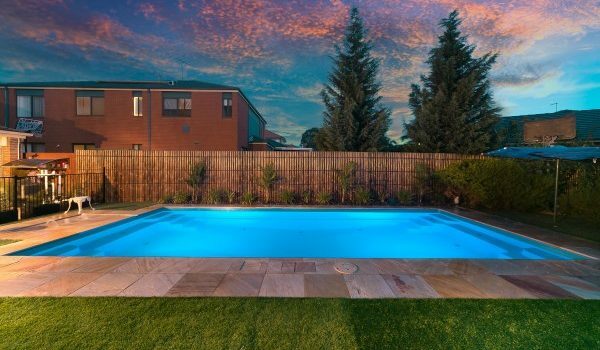 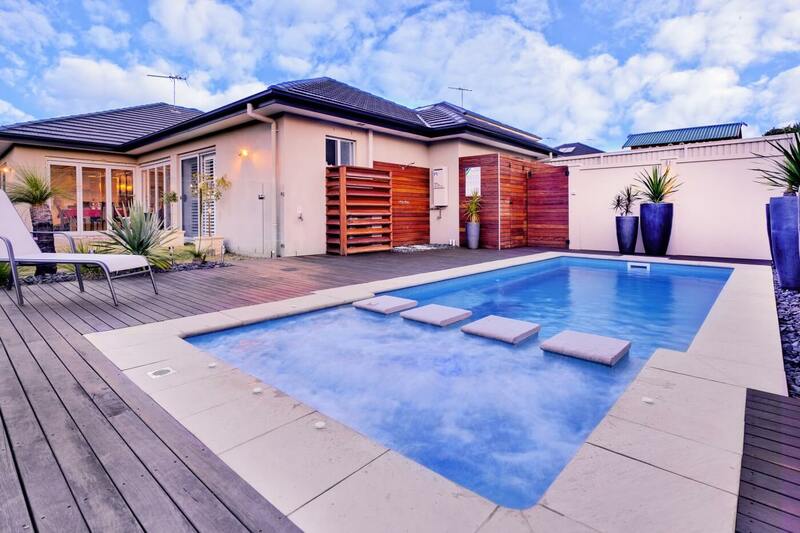 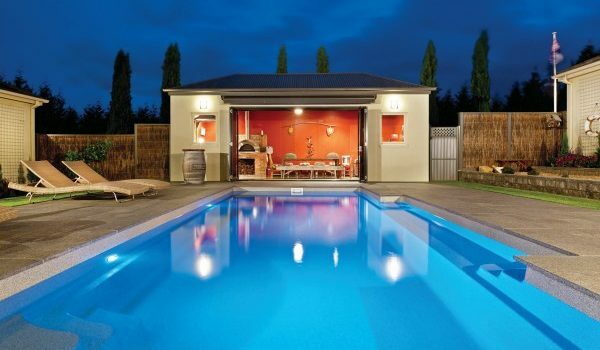 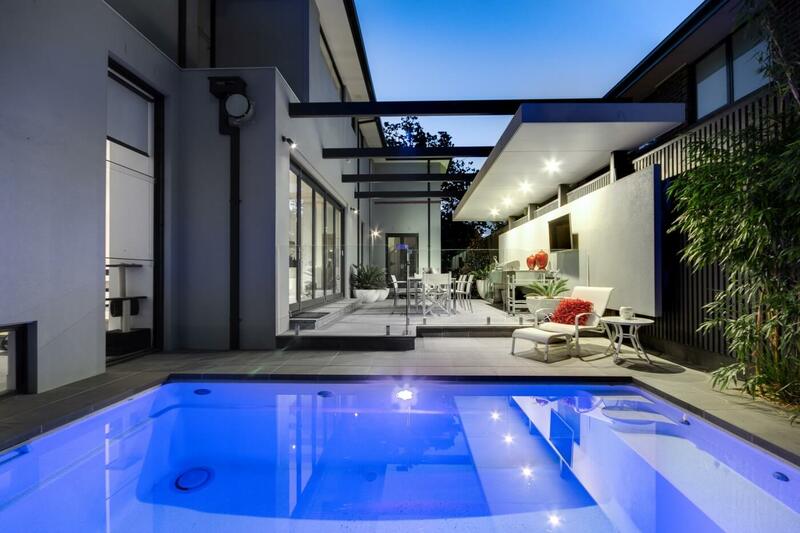 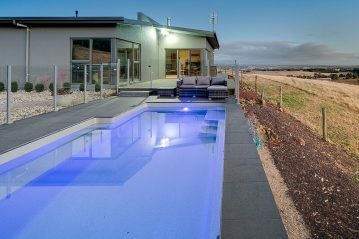 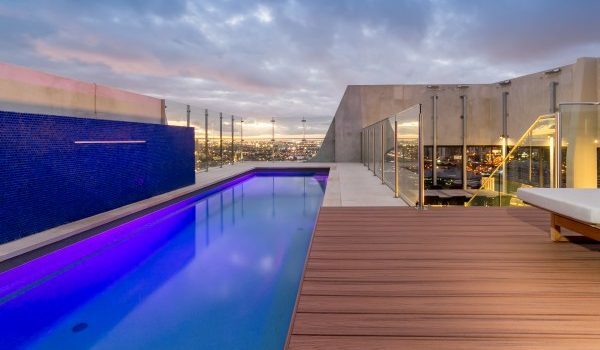 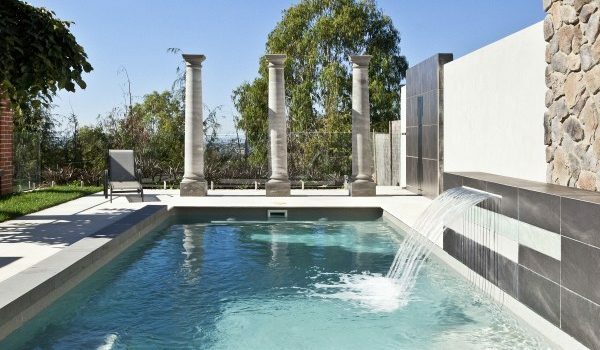 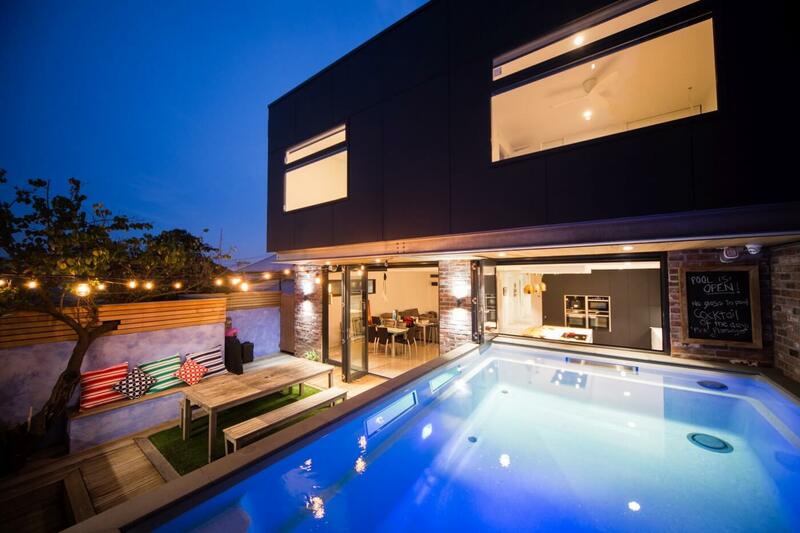 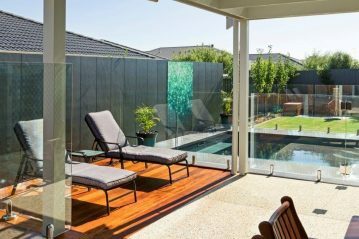 These pools with “disappearing edges” are becoming increasingly popular throughout Australia. They make beautiful design features, and also offer a unique swimming experience by making you feel like part of your surrounding environment as you swim. 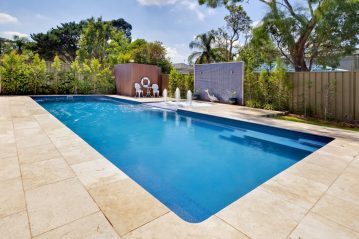 Compass Pools will always do our very best to accommodate your requirements, and we’re always happy to discuss your needs. Please contact our friendly team for more information about custom pool options. 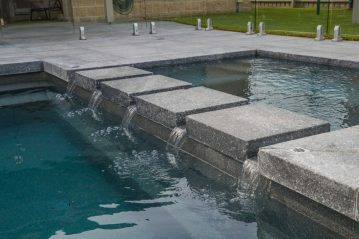 These features reduce the risk of injury and make sure that if swimmers get tired, particularly children, there is always a place to sit or something to hold onto. 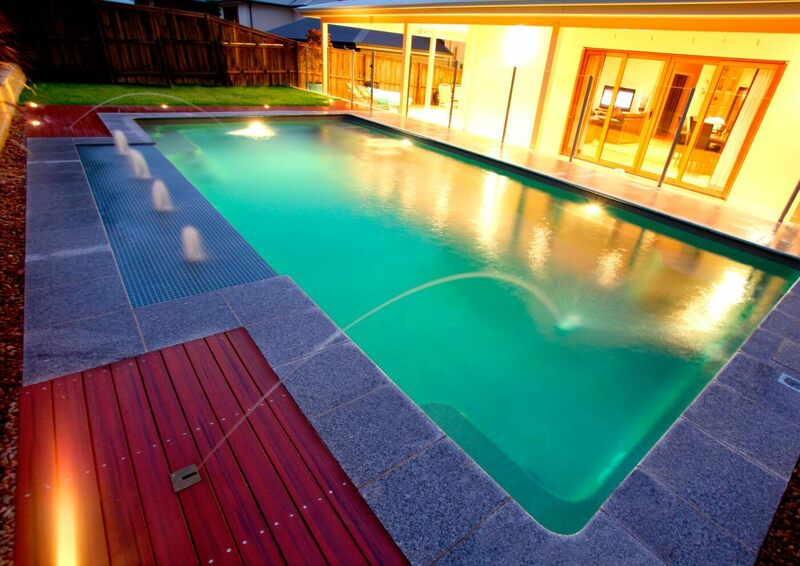 This means your whole family can enjoy the pool without worry. 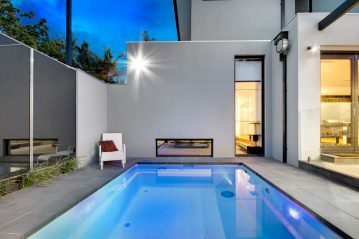 Bi-Luminite. This uses a dual-layer system to create a stunning 3D effect, making your pool water sparkle like never before! 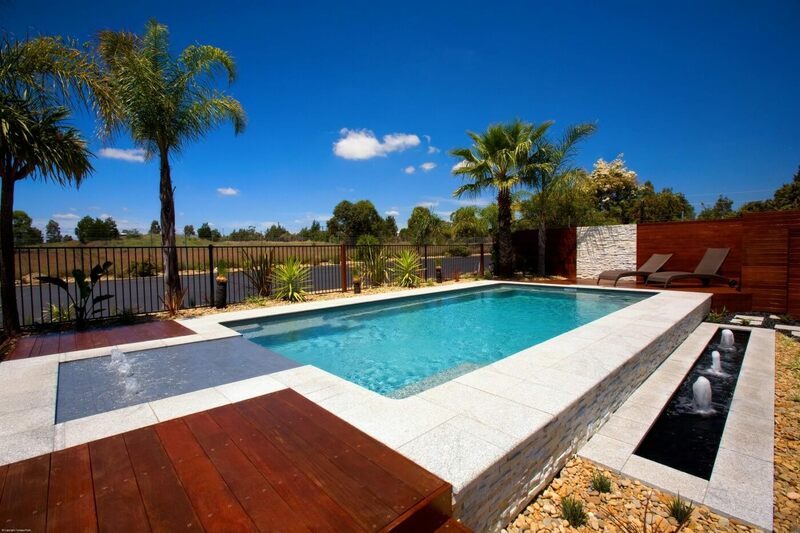 The colour is protected and highly durable so it will maintain its appearance as your pool ages. Vivid. 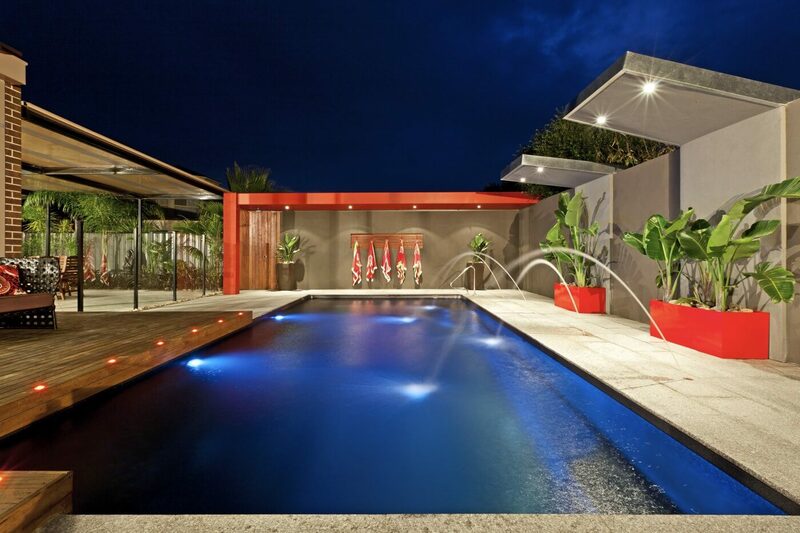 This is created using large colour chips which are manufactured in-house, for bright and striking colour. 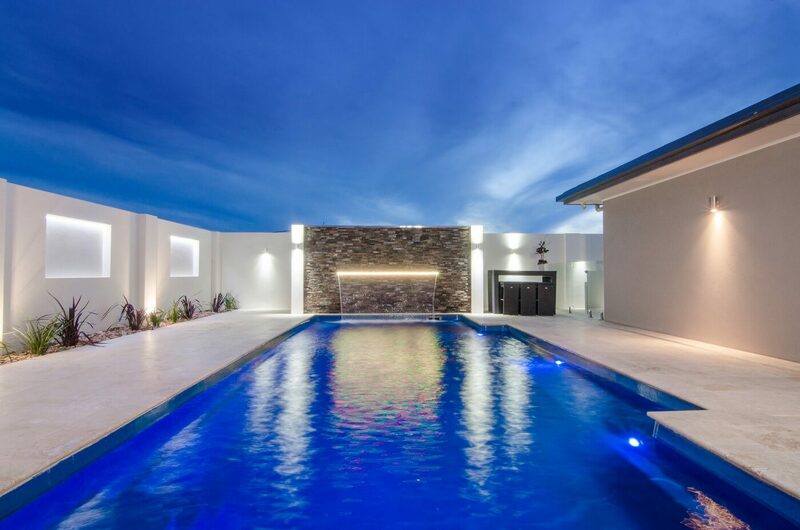 Both systems have a wide range of colour choices available, so you can create a pool that truly reflects your tastes and the design of your property. 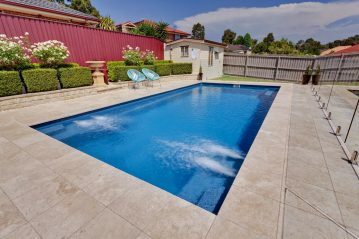 Choose your new pool colour here. 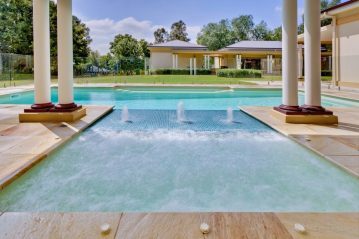 Our swimming pools feature the Vantage Self-Cleaning system, which means your time can be spent enjoying your pool instead of cleaning it! 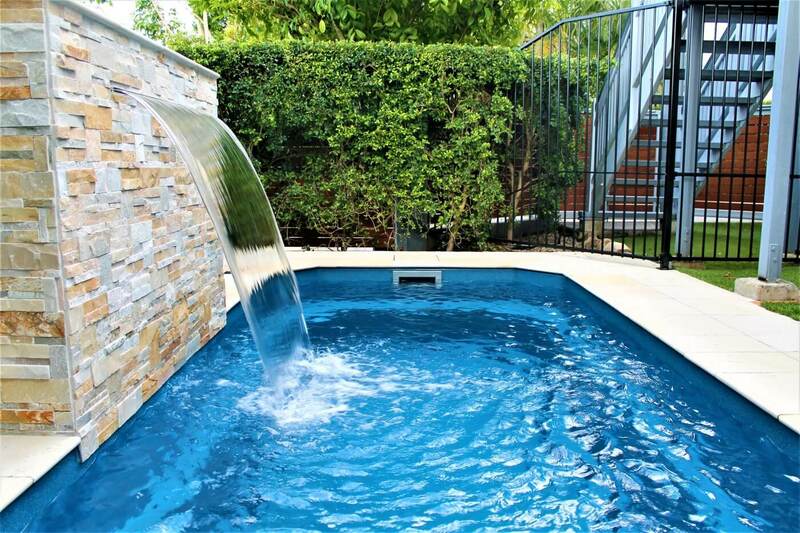 The system circulates the water and rids it of debris, so you don’t need a vacuum. 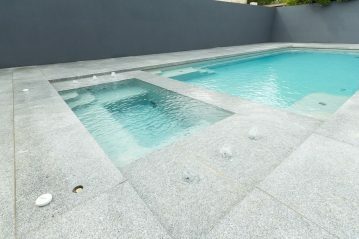 It also ensures that bacteria are killed throughout the whole pool. 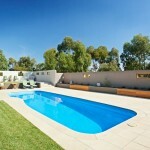 Even better, it requires a lot fewer chemicals, so it’s a safer option for you and your family. 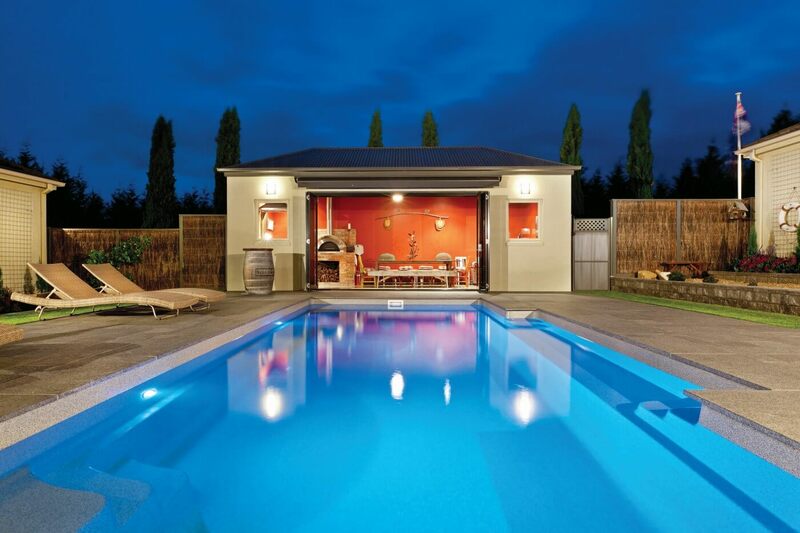 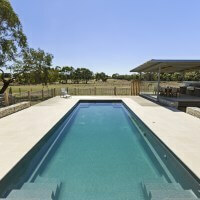 Fibreglass pools offer a number of advantages over traditional concrete pool, e.g. 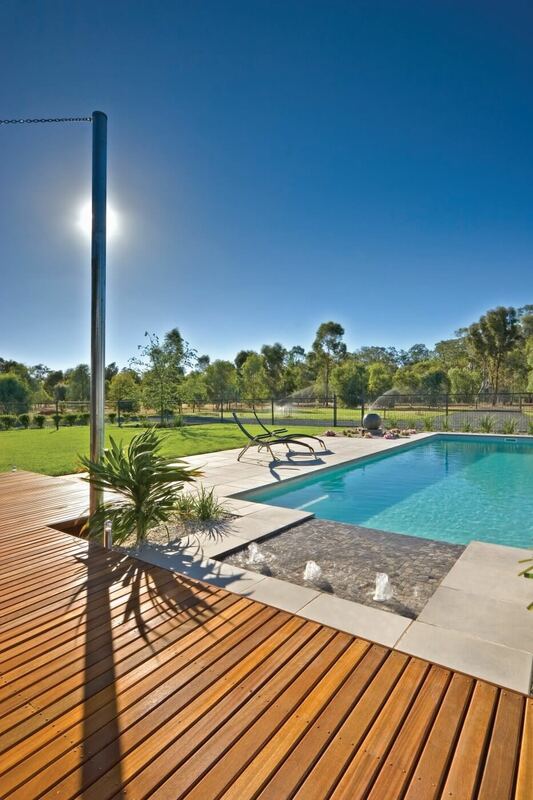 they’re quicker and easier to install or they’re easier to maintain. 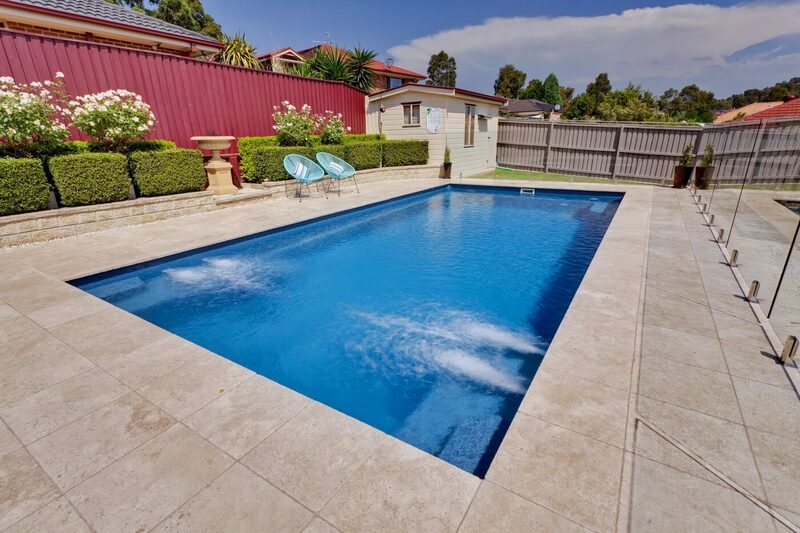 The smooth surface offered by a fibreglass pool makes them easier to clean. As the surface is even, it’s also less susceptible to the growth of algae. 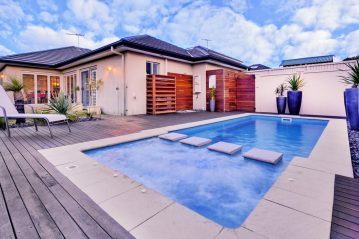 In addition, a fibreglass pool’s smooth surface is kinder to the skin, so if your child knocks into the side of the pool, they won’t scrape or scratch themselves. Read the comparison between fibreglass and concrete swimming pools to find out which one is the right for you. 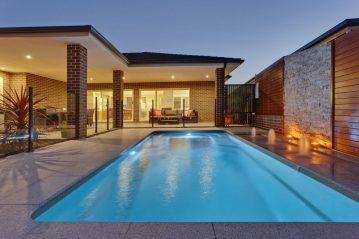 All of our swimming pools come with a lifetime structural warranty, giving you absolute peace of mind that you can enjoy your pool as much as you want for many years to come. 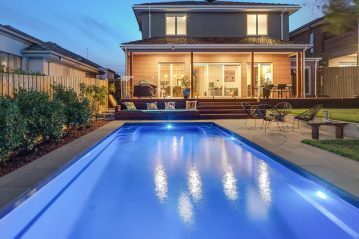 If you plan to move home, the warranty is transferable to new owners for the balance of 25 years, so it will increase the value of your property. 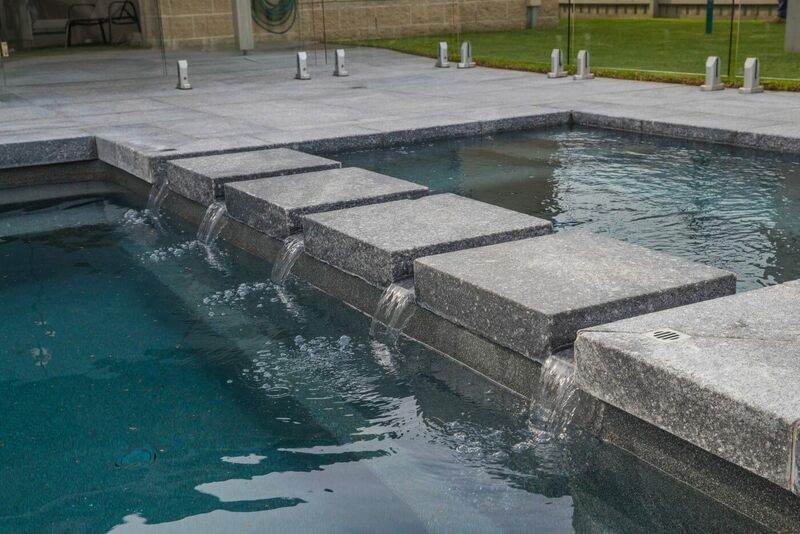 If you’d like to know more about the range available from Compass Pools, please contact us and our specialist team will be happy to help.